Many years ago I sailed across the Atlantic Ocean on a 42′ ketch with 4 other men all of whom were more than twice my age (and in some cases almost 3 times!). The depth and range of knowledge on board was impressive; airline pilots, engineers, navy officers, navigators, mechanics, and me…an newly qualified shop teacher with an over-zealous sense of adventure. One of the crew members, George, was retired from the Navy where he worked as a navigator on submarines. George and I hit it off instantly. His stories and experience at sea were amazing, he loved to tell them… I loved to listen to them, and we had 30 days at sea to enjoy them! George took the time to explain and teach me everything from how to properly drink port, to proving to me that the World is definitely not flat! One particular evening as we were both on watch, George taught me how to balance a sailboat. Now I knew how to trim sails for optimal performance when it was speed we were after, but balancing a boat is more about direction than speed. The essential idea is this…first, you determine your desired heading. Once your course is set, you trim your sails so the boat will move 5 or so degrees off course when you let go of the helm. If you have set the sails right, the forces acting on the boat will redistribute and the boat will begin to correct it’s course. The boat will continue to act as a pendulum, constantly moving 5 or so degrees above, then 5 or so degrees below the desired course, without the helmsman needing to touch the helm. Intervention is only needed when a big wave, wind shift, wind increase, or other such unexpected force hits the boat. What does this have to do with change and educational leadership? The boat is in a constant state of change. It is not holding to a steady course, but rather to a balanced course with eyes on a destination. Because the boat is already in a state of change, it is easier for those responsible to adjust when an unexpected (or expected) force knocks the boat out of balance. Schools are also in a constant state of change. Each new year brings new students, new curriculum, new ideas, and new staff. Instead of viewing schools as entrenched institutions that do things the way they’ve always been done, perhaps viewing schools more like a ship on an open sea, that works constantly to balance the forces that effect it while striving for it’s destination may be more effective. An object in motion tends to stay in motion! This line of reasoning is in line with the research around growth and fixed mindsets. By establishing the normal state within the school environment as one of balanced change it will better prepare staff and administration for challenges and opportunities as they arise. 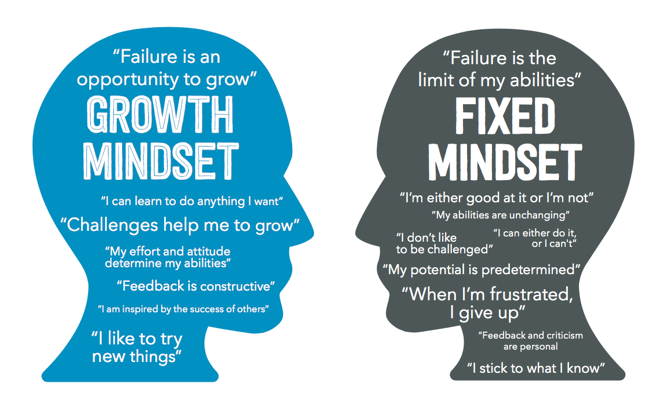 Building a growth mindset culture in a school where staff and students feel empowered and safe to take the risk to fail is a critical part of developing teacher efficacy and student efficacy. Educational researcher and thinker John Hattie ranks both teacher and student (self) efficacy among the most effective and influential factors that lead to increased student achievement. One particular afternoon during the voyage across the Atlantic we encountered a significant breeze and high seas. We had been monitoring a low pressure system on the weather charts and radar for a couple of days and had adjusted our course to sail around it. Our timing had worked out well and we had a beautiful blue sky, a solid 25 knots of wind and waves that we estimated to be about 18-20 feet. Fortunately the distance between the waves was large allowing us to effectively sail down into the troughs and then up the crests with relative ease. Of course this got me thinking, “I wonder if a 42′ boat can act like a surfboard?”. Seemed like a reasonable question, so I started experimenting. As the boat rode up on a wave I would tighten the rig and head up into the wind; as the boat began to crest I would loosen up and bear down into the trough. Low and behold a 42′ boat could surf! I was having a blast. It was after the forth or fifth wave that George joined me in the cockpit. He casually sat beside me and opened two beer. “Having fun?”, he asked? The look on his face told me my best response was no response. “I’m going to tell you this once…when you are sailing up wind the crew will break before the boat; when your sailing down wind the boat will break before the crew. Now slow this boat down and join me for a drink.” He may have added in a few other choice words for emphasis. As educational leaders it is critical that we learn to monitor the rate of change, and potential pressure points this change may cause, closely to ensure the system continues to run smoothly for the betterment of both students and staff.